The links to your videos will be on your receipt page. See the pic below in “Product Description” so you’ll know exactly how to find your link. Great! You’re all set! 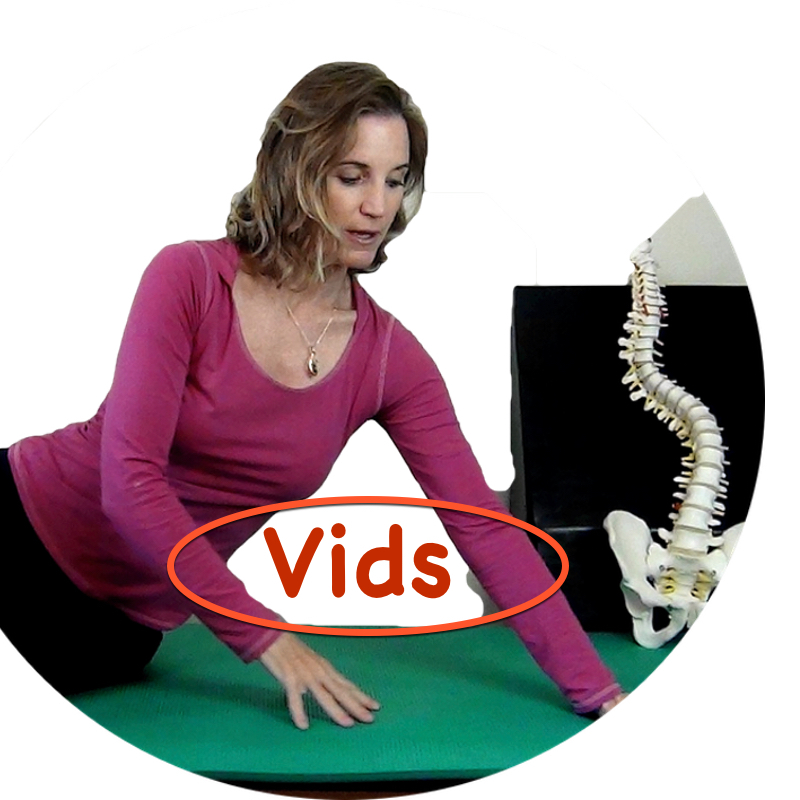 Feel better anytime with Scolio-Pilates’ Exercise Videos for Scoliosis now available online. Join Scolio-Pilates founder, Karena Thek, as she takes you through exercise programs specifically designed for your scoliosis curve type. Step-by-step, Karena walks you through a detailed Scolio-Pilates program for lengthening and strengthening your spine. Lengthen your spine towards neutral with specifically designed exercises; next, strengthen your spine in order to maintain the length. Each video has a special focus that you will see as you look at the episodes above in the drop-down list. The focus will change from abdominal strength to hip strength, spine strength to upper body strength. There will also be videos that focus on walking and standing, or sitting and working at the computer, so that all aspects of your life will become easier with Scolio-Pilates. This is exciting! Let’s get started! Today, as we release these videos for the first time, we begin with two episodes. 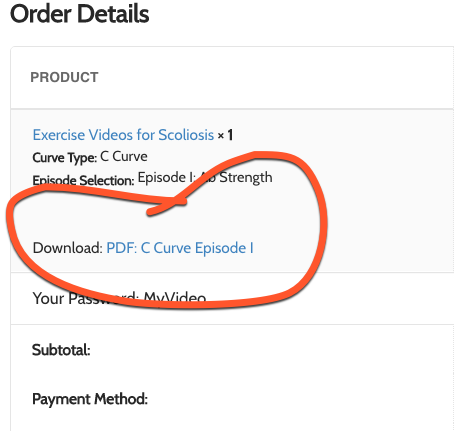 Additional episodes will be listed here as we add them to your series of exercise for scoliosis videos. The best part of all? you can work with Karena and exercise from the comfort of your own home. You’ll just need a comfortable place to sit and also a place big enough to lie down. What is an S-Curve (3 or 4 Curve) Scoliosis? What to look for on your Receipt Page! On the receipt page you’ll see an image very similar to this. Do you see where it says “Download”? To the right of that will be your video link. This example shows a link for a C Curve Episode I video. Easy? Yes! But still let us know if you have any questions.